This heavy duty diamond plate aluminum tool box is made for the contractor/tradesman that requires a high quality storage box. Made in the USAwith rugged welded construction and a stainless steel "one touch" push button lid latch for easy opening even when wearing gloves. Must ship via truck freight. Note: Photos show a shorter box; Measure your truck for proper fit. 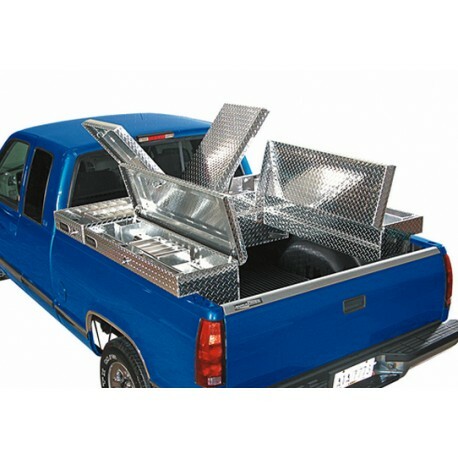 -Fits all full size pick up trucks with 8' beds. (We recommend measuring your truck for a proper fit). -Cannot be combined with Single Lid or Gull Wing boxes. -Stainless steel push button rotary locking mechanism. -Heavy duty aluminum removeable sliding parts tray with adjustable dividers. -Fully concealed continuous lid hinge. -Dual gas springs on each lid for smooth operation. -Includes heavy duty mounting legs and hardware. -Extra wide gasket system seals out dust and dirt. 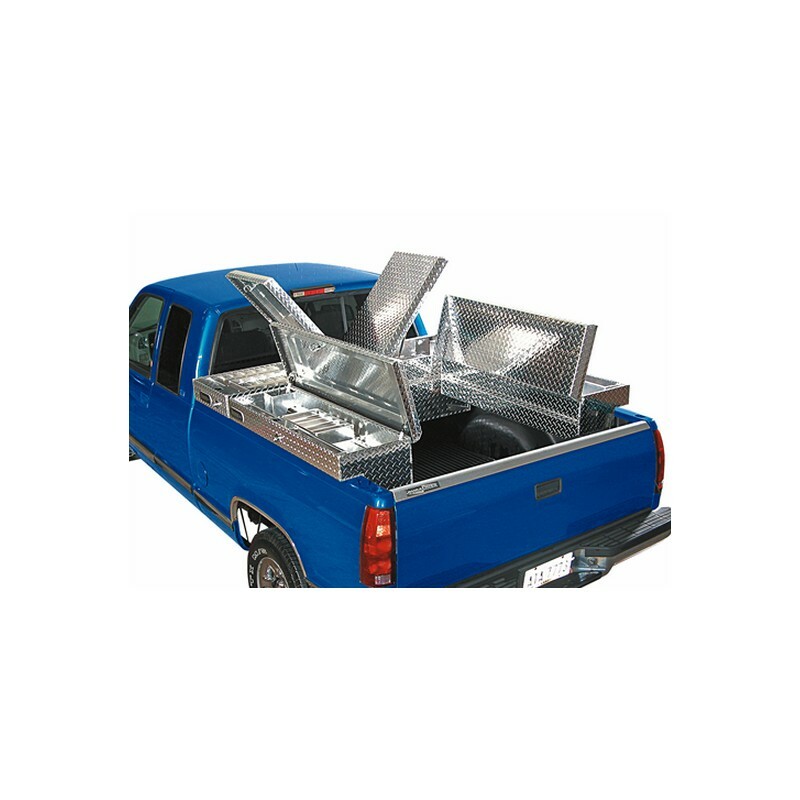 -Welded lid bolsters for strength and rigidity - even off-road.